La Baguette Magique! PAUL UK donates 20p for each baguette (200gr) purchased! Fantastic Beast: The Crimes of Grindelwaldis live in cinemas from November 16. Did you know that La Baguette Magique is French for a magic wand? Our PAUL bakers do their own little bit of magic every day to bake our delicious fresh artisan baguettes. 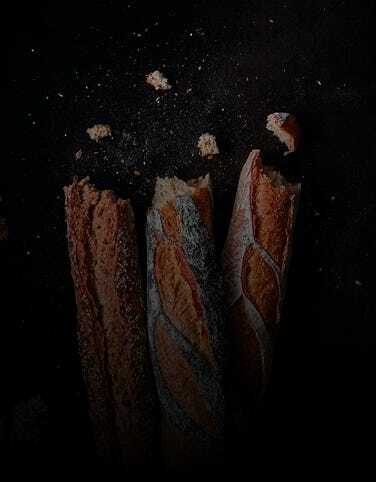 To celebrate the premier, PAUL will donate 20p for each PAUL Baguette (200 grams) purchased in a PAUL UK shop or on paul-uk.com to Lumos, the international organisation founded by J.K. Rowling. Whether you crave the traditional plain baguette or enjoy a sesame, poppy or multigrain baguette – all purchases will support Lumos’ mission to create a world without orphanages and institutions. A world where families can stay together and children have the love, care and protection they need. As a family business for 129 years, spanning five generations, PAUL values the time-honoured tradition of building a business based on family values and serving families across the globe. 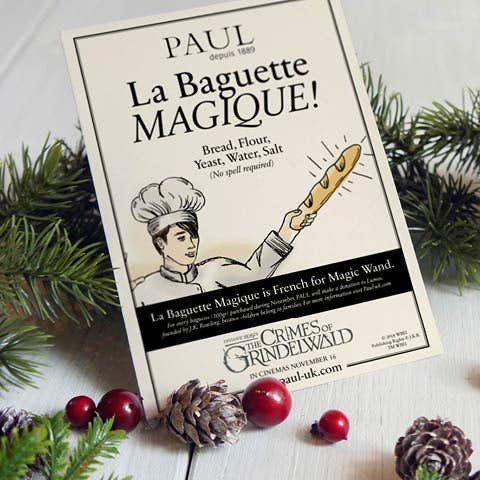 We are proud to support the work of Lumos, so please help us to support their work when you buy your baguettes magiques from PAUL. T&C: Donation applies to all purchases in PAUL UK stores between 12-30 November of all varieties of PAUL (200gr) baguettes – plain, sesame seed, poppyseed, and multigrain, and will be donated to Lumos, for payment in December 2018.